The quantities of materials required depend on the number of letters in the word. 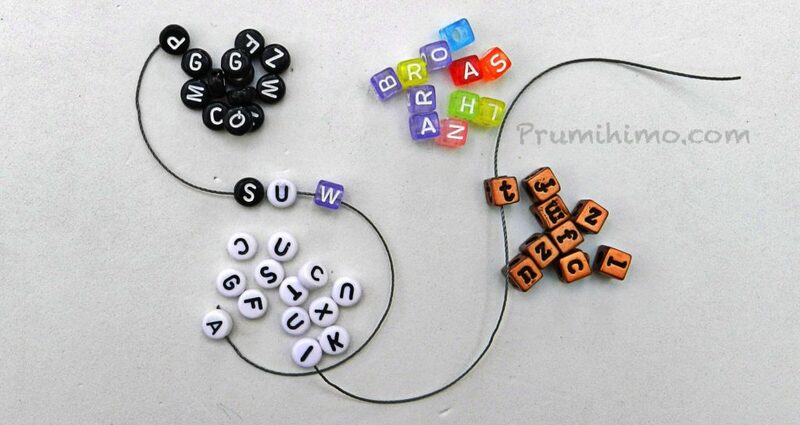 You will need 2 beads on each cord for each letter, plus one. So in my example I spell out the word ‘shed’ and I use 9 beads on both the top and bottom cords at number 3, which is 18 in total. I used 60cm x 2 of satin cord and 80cm x 2 or S-Lon 0.5mm/Tex 210. You can use a range of different beads at the sides, such as size 6 or 8 seed beads, triangle beads, cubes etc. To finish off the keyring I suggest using an overhand knot and leaving the cords as a tassel. The alternative is to use one of the cords to whip the end of the braid. A future video will demonstrate how to whip! 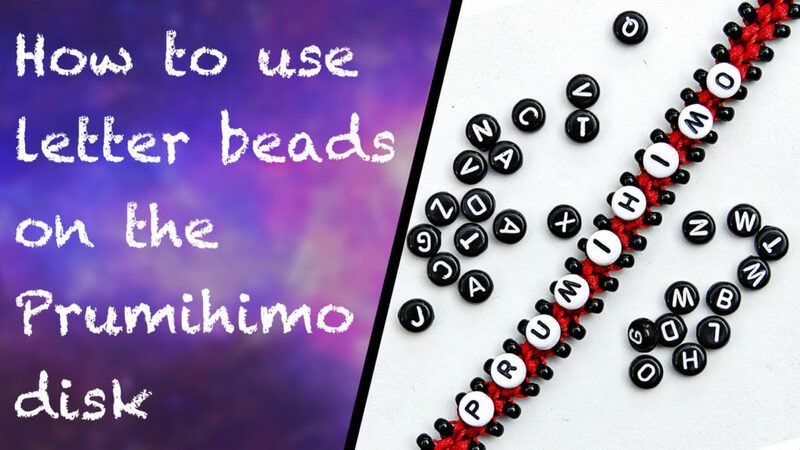 There are all sorts of letter beads available and the important point to note is which way the hole runs. 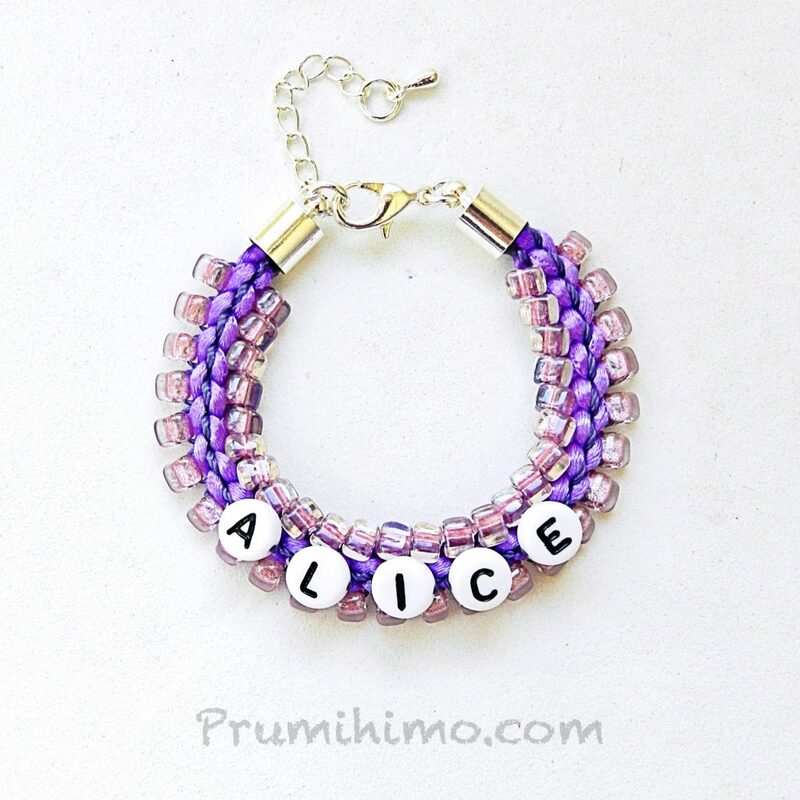 This sort of braid is great for children’s bracelets, but please note the safety information which can be found at around 7 minutes into the video. Also remember that children should not wear anything with their name on in public, unless they are accompanied by an adult! Here are photos of other braids shown in the video. 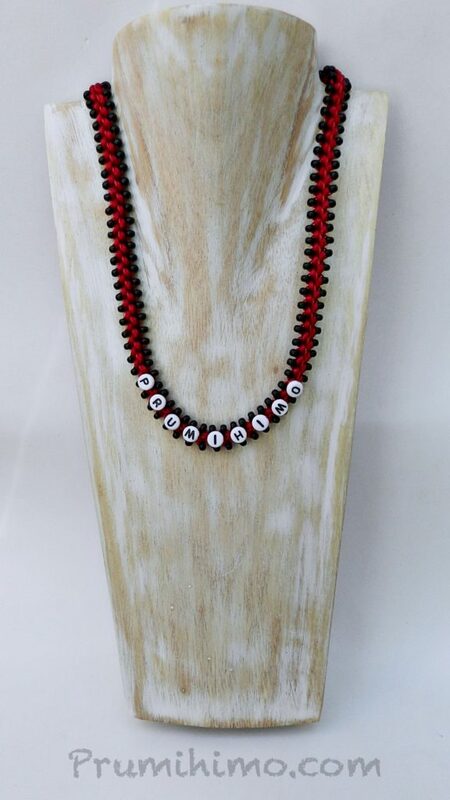 Further information on braiding with letter beads can be found here.